We’re posting Leftovers Lunch today. We never seem to tire of chicken. 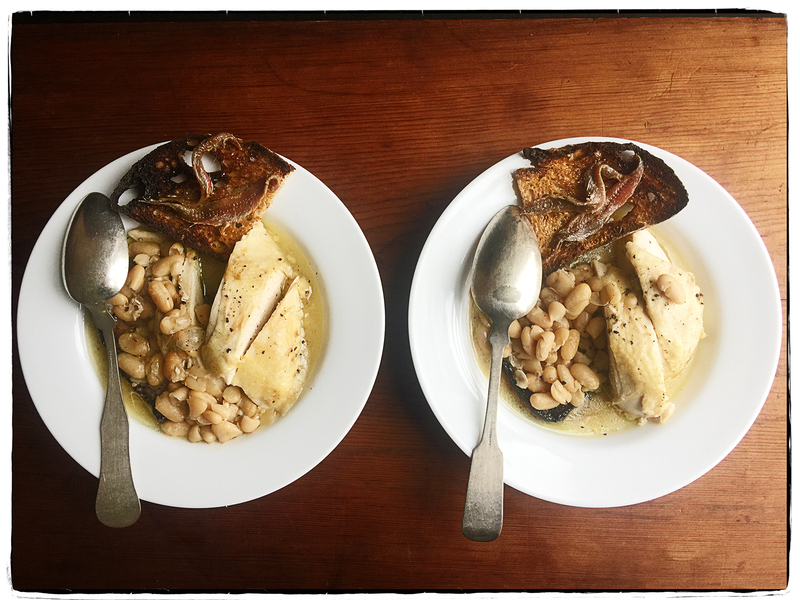 Last night, one of us made a dinner of pot-roasted (braised actually) chicken, its rich broth spooned over cannellini beans, with chicken liver toasts alongside. Too good not to share, so we’re having the leftovers for lunch (anchovies replaced the chicken livers on the toasts). Sometimes, food tastes even better the next day with a little more time for the flavor to develop.